As I’ve said in reviews in the past, designing a rally racing game is surely something of a blessing and a curse for developers. It’s a blessing on the one hand because there’s relatively little AI work to do. The only car on the track is you, and it’s all about the pure skill in speeding around a course, rather than navigating in and around other vehicles. On the other hand, when there’s nothing to focus on than the interaction between car and track, you’ve got to absolutely nail that, or players will get bored quickly. I find the official WRC games to be like that; cheap racers that capitalise on the lack of other cars on the track to get away with the bare minimum of a racing game. DiRT 4, however, has all the goods, and this is a game that I’ve enjoyed a great deal. Not that I know much about rally driving, beyond the obvious. It’s not a sport I follow on any level, as F1’s more my kind of racing, but I do appreciate how supremely difficult rally driving is. This is a sport where divers hoon around on less than ideal surfaces, relying on a navigator to help them with turns because they won’t have time to see them themselves, and pulling off some incredible handbrake turns to get around sharp corners at real speed. As a time trial-orientated sport I appreciate the effort and planning that goes into trying to shave hundredths of milliseconds of a race time, and I appreciate the complete focus that is required in a sport where even the most momentary lapses in judgment can send a driver into last place (or, worse, into a terrifying accident). DiRT 4 captures everything I know about, and respect, in rally driving. This is one of those rare games that has been designed to appeal to serious simulation and more casual racing fans alike, and while the more casual approach to driving is for me, I did enjoy poking around in the simulation mode and realising the sheer depth that’s there for people who are into tweaking their virtual cars. Regardless of how you like to play, there are a couple of things in DiRT 4 that will appeal to everyone. 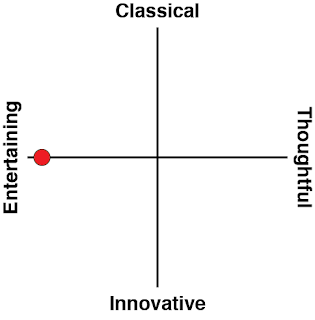 The first is the way that tracks are randomised. That’s right; when you set out for a race, you can set the parameters about how difficult the track should be, and the game will automatically generate one with just the right number of twists and turns for your tastes, in any of the game’s various environments. 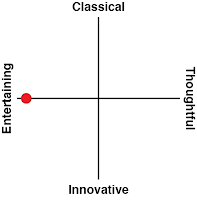 Now, usually with games that use random elements, the building blocks that are randomly assembled to make the environment are finite, so the repetition starts to set in and the randomisation loses its appeal. 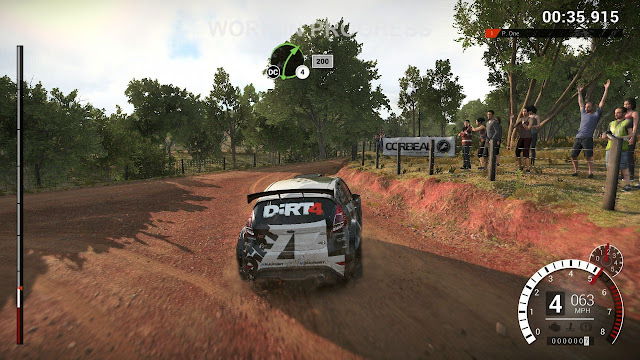 With DiRT 4, however, this is almost irrelevant, as the purpose of the randomisation is simply to keep the challenge fresh by making corners and dips unpredictable. Yes they’re the same building blocks from one track to the next, but there are millions of ways to arrange them differently, and if you ever just happen to come across the same track design enough that it’s familiar, I would suggest that you’ve played the game too much. The game’s career mode is another thing that people of all skill levels will love, because it’s accessible enough at first before slowly building in difficulty, but will never quite feel out of reach of the skills you’re developing as you play as well. I must admit I did enough earning the money through racing to build up my fleet of cars and improve my team by hiring better people; none of that is anything that you haven’t seen in racing games before, but when the on-track racing is this addictive, developing up your career at the same time is engaging stuff. What holds the game back just a touch is its presentation. 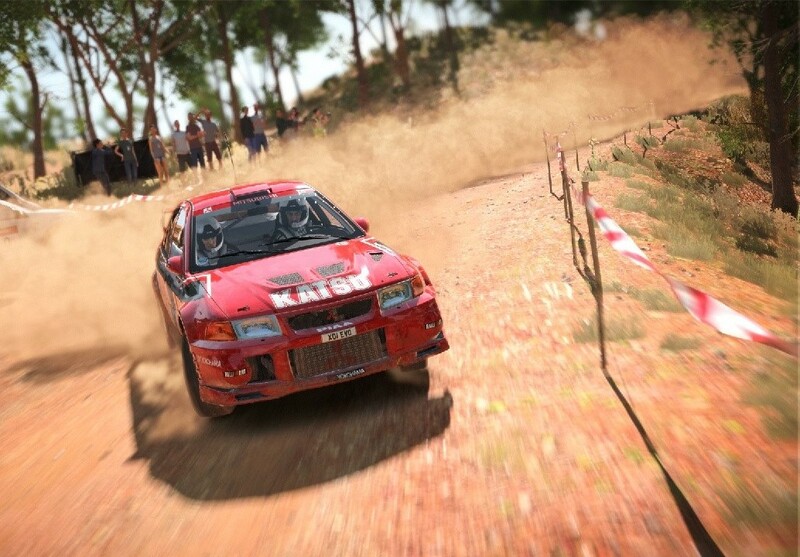 With most racing games, environments, crowds, and so on are rather irrelevant; in real tracks they’re kept well away from the road and in the distance, so in the context of a racing game they whip by on the periphery and so they can get away with being cheap and tacky “cardboard cut outs.” But rally driving is different. Rally driving takes place in the scenery and, for whatever reason, crowds are actually brave enough to stand right there next to the track. Unfortunately, perhaps as a consequence of being built out of randomised blocks, the environments in DiRT 4 look cheap enough to be immersion breaking. This is especially disappointing given that the cars look great and the accidents are spectacular, until the rolling car comes to a stop and then you realise how plastic the trees look. Related reading: Nick's review of the previous DiRT game. 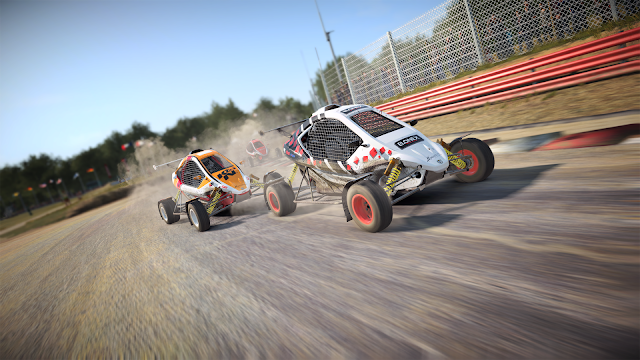 DiRT 4 does a remarkable job of creating a sense of speed, however, which is more than can be said for the last rally game I played, and I had such a great time handbreaking around tight corners when they came up. I had even more fun when I learned how to “work” with my navigator and then was able to hit those same sharp corners at complete speed with foggy or dark conditions where I couldn’t rely on my eyesight seeing things in time at all. DiRT 4 might not be my kind of racing game normally, and nothing will ever compare with the thrill of weaving in and out of a clustered mass in an F1 game, but I genuinely enjoyed everything the game offered, and on that basis I know that it must be something special indeed.